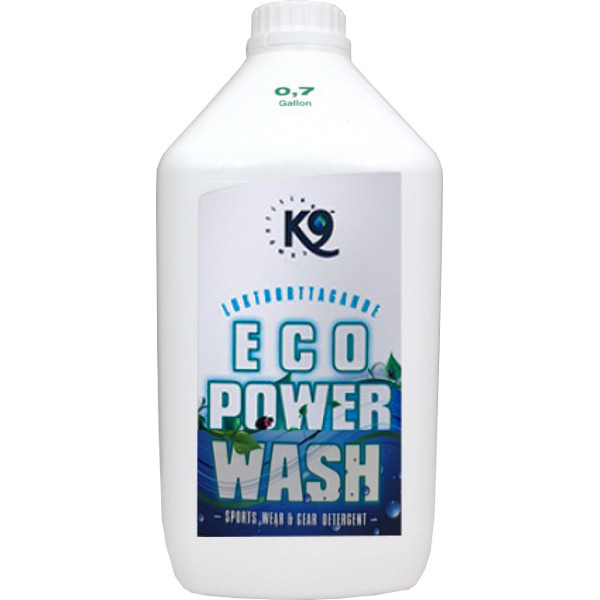 K9 Competition Eco Power wash is a odour removing, natural detergent for a range of items that require a deep odour removal. 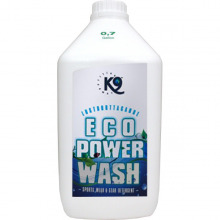 The detergent can be used on blankets, dog beds, horse blankets and towels as well as for regular items such as groomwear, sportswear and the like. This formulation eliminates odours "fibre deep" and works by effectively breaking down the odour molecules, removing the odour at source rather than masking. Washing temperature: 30°–60° and 30° hand wash. Works on all materials, including wool. Can also be used in saltwater. ​Content: Nonionic surfactants 15–30%, complexing agent < 3 %, perfume <0.2%, <0.1%, preservative: Methylchloroisothiazolinone & methylisothiazolinone. K9 Competition has taken the pet world to new heights and has made the “dog show” world stand up and pay attention! Our standard of the “highest quality ingredients available” includes Aloe Vera, B5 Vitamins and Silk Protein as well as nature friendly ingredients. The end result being products optimum for everyday use as well as professional use, that we as animal owners and exhibitors of all breeds of dogs and cats, so highly demand. The fact that we are established in countries all over the world, brings us great pride and satisfaction!